The all-new Lincoln Corsair will make its world premiere on April 17 at the 2019 New York International Auto Show. Lincoln on Thursday teased the first look at the new Corsair, which joins the 2019 Lincoln Nautilus and 2020 Lincoln Aviator as the newest products in the Lincoln portfolio. The 16-second teaser gives a pretty clear look at the Corsair’s profile, going so far as to show off the wheels a bit as well before crash-zooming in on the Corsair badge beneath the A-pillar on the driver’s side door. So based on what we’re seeing here, does the Lincoln Corsair look like a Lincoln? Very much. Does it look like a Corsair? No, because a corsair is a pirate. Or, if you extrapolate from Lincoln’s proclivity for naming its new vehicles after modes of transportation, a pirate ship. So, no, the Lincoln Corsair does not look like the Elizabeth Dane, the ghostly clipper once piloted by the doomed crew that haunts Antonio Bay in The Fog (or, uh, any other pirate ship for that matter). The Corsair is the replacement for the Lincoln MKC, almost officially bringing an end to the era of Lincolns with alphanumeric names. The Lincoln MKT is still hanging on somehow, but maybe it’ll wind up getting a better name if it sticks it out a bit longer. How about, like, Lincoln Galleon? Keep that pirate ship theme going. The Lincoln Corsair will debut 12 days after the Ford Escape, which will likely share some of the same underpinnings. You can pretty well expect a plug-in hybrid version, which will likely carry the same Grand Touring nomenclature as the Aviator. Last month, The Truth About Cars obtained a VIN document from the National Highway Traffic Administration which revealed that the Corsair Grand Touring will likely get a 2.5-liter four-cylinder paired with an electric motor in addition to two conventional powertrain options. 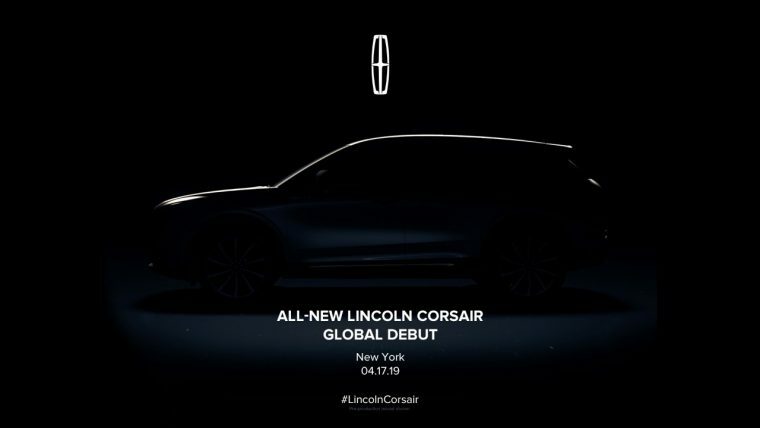 All will be revealed in April when the 2020 Lincoln Corsair debuts in New York. Here’s hoping they bring a pirate to the show.